It also (hot take alert) has the best villain of the series. Who would've guessed it... Johnny Depp is perfect casting as a sinisterly charming wizard? His villain, if we can even call him a villain, doesn't possess the automatic boo-hiss quality that Voldemort had. 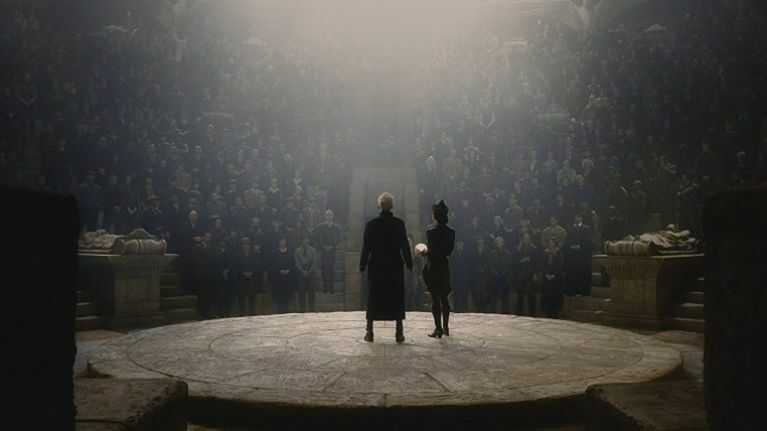 Instead, Grindelwald is far more shaded, not believing humans to be worthless, but to possess "other worthy qualities". His stance is that he doesn't want the world of wizards to continue living in shadows because humanity would be afraid if they "came out". In one of his speeches to his ever-growing amount of followers, he sees the future of the world if it is left in the hands of muggles, and it is filled with tanks, nuclear bombs, and all-out war. If the wizards take over, all of that pain and death could be avoided. Depp plays him with subtle menace and extravagant charm, making it all too easy to understand why more and more wizards would join his revolution. However, his words and actions don't go hand in hand. In one of the movie's darkest scenes, he and his immediate henchmen absent-mindedly kill an entire family because they want to live in their apartment. It is exactly the kind of villain that J.K. Rowling would give to the fans of the Harry Potter series, who were young adults when The Philosopher's Stone book came out in 1997, and are now adults in need of some moral complexity. Which makes it even more of a shame that the rest of the movie doesn't share that same level of intelligence. In its place is a kind of convolution that even the most die-hard Harry Potter fans will need a road map for to ensure they don't get lost. 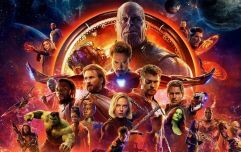 All of the cast from the original - Eddie Redmayne, Katherine Waterstone, Dan Fogler, Alison Sudol, Ezra Miller - are all back, all great, but all given a lot less to do. That extra time is given over to Depp's villain, Jude Law's new take on Dumbledore (smartly channeling neither Richard Harris nor Michael Gambon, but making it fully his own), Callum Turner as Newt's brother Theseus, and an expanded role for Zoe Kravitz's Leta Lestrange. They're all fantastic in their roles, each of the characters helping to add to the 1920's version of a world that fans already know inside and out, but everyone is dropped into a plot that is both too confusing too follow, and not interesting enough to try to want to follow. There a lot of people and objects and spells and locations and items and, yes, Fantastic Beasts that appear suddenly throughout, and the chances that they're instrumental to the plot moving forward, or heavily referenced in a previous Harry Potter movie, or staunchly foreshadowing something that is still to come is never, ever clear. The plot, at its most basic level, as a sort-of inverse of Harry Potter itself - a chosen boy (Miller) has been chosen since birth to defeat Dumbledore, and Grindelwald wants to train him to prepare for that battle - but it is lost in the miasma of additional subplots. Director David Yates (who has been at the helm for the series since The Order Of The Phoenix) has delievered a beautiful blockbuster, without a doubt the best looking Harry Potter movie to date. During the too-few magical battle scenes, he is in total command of the action, always making sure that the audience is fully aware of what is going on, and the consequences of everything that is happening on the screen. In screenwriter mode (as opposed to novelist mode), Rowling tries to pack WAY too much in, and it truly does feel like the movie lacks focus because she is too close to it. Yates and Rowling are already working on Fantastic Beasts 3, due in November 2020, but for the sake of both fans, casual viewers, and the future of the franchise, we hope she takes a step back and takes in what it is about this movie that works. And what didn't. Fantastic Beasts: The Crimes Of Grindelwald is released in Irish cinemas from Friday 16 November.